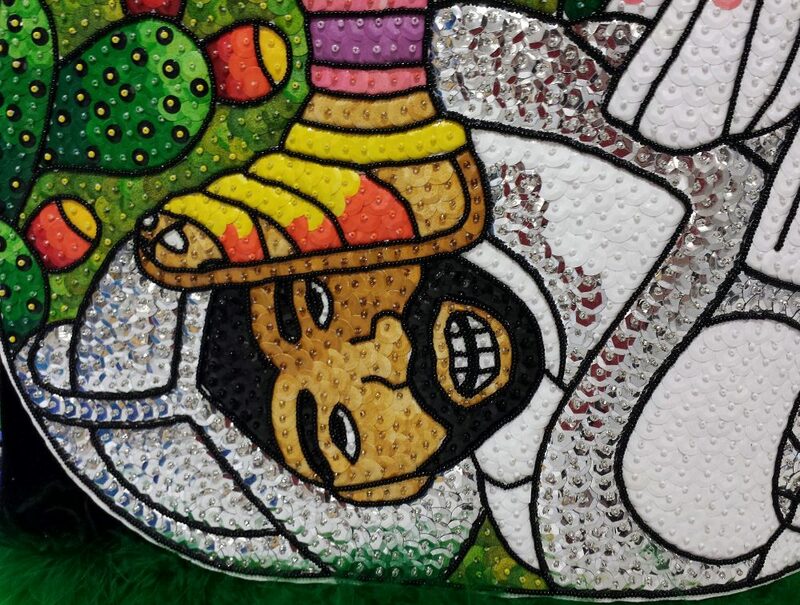 Front panel of the adult costume showing the main motif of the hero warrior with a vanquished though still alive conquistador knight, in full metal armor, under his foot and decapitated heads in his hands. 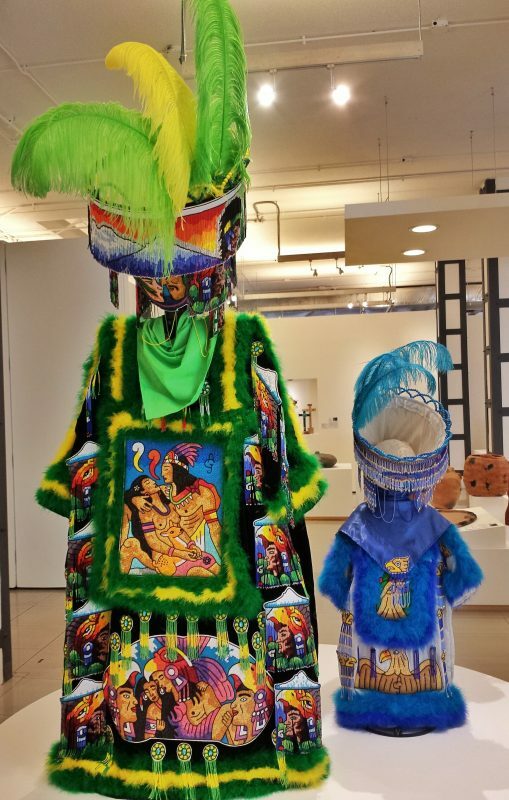 Front view of the child and adult costumes, primarily beaded and trimmed with feathers. 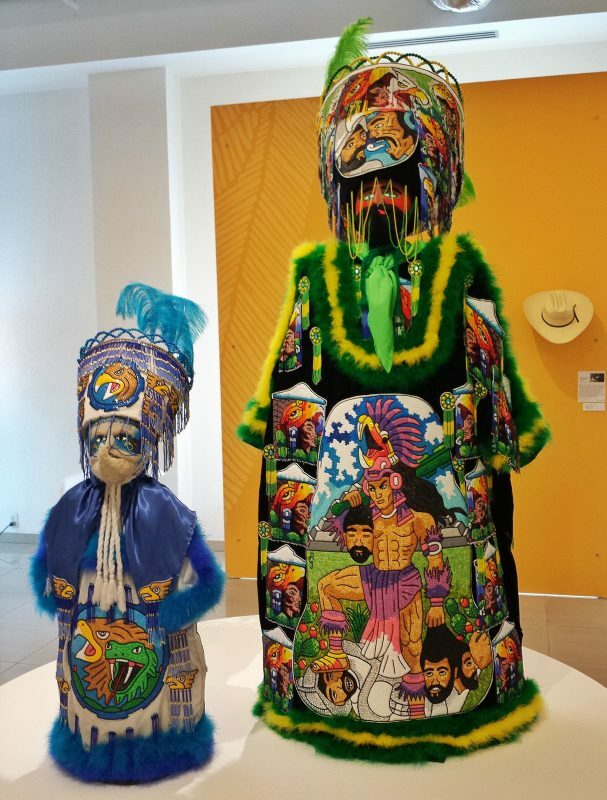 Back view of the adult and child costumes. 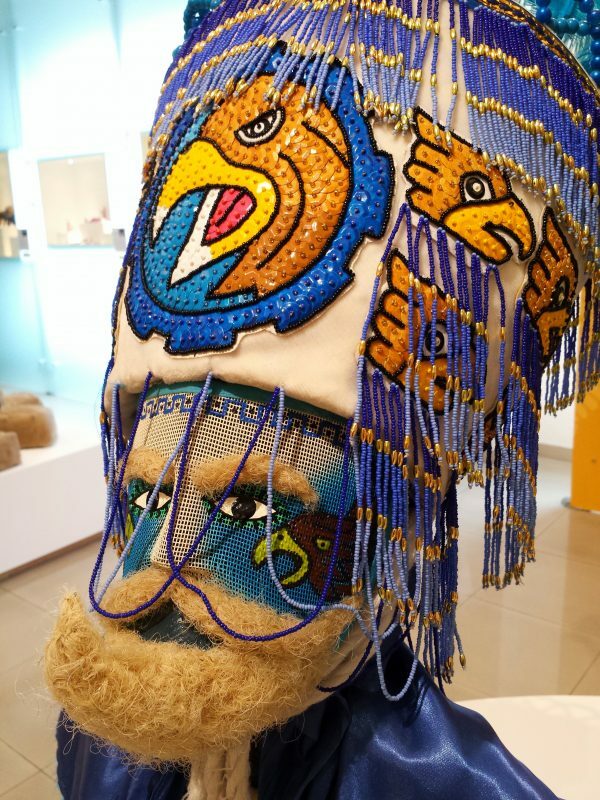 Closeup view of the child costume’s head. The entire face is made of a painted mesh so that the wearer can see out. The beard is made of wool. 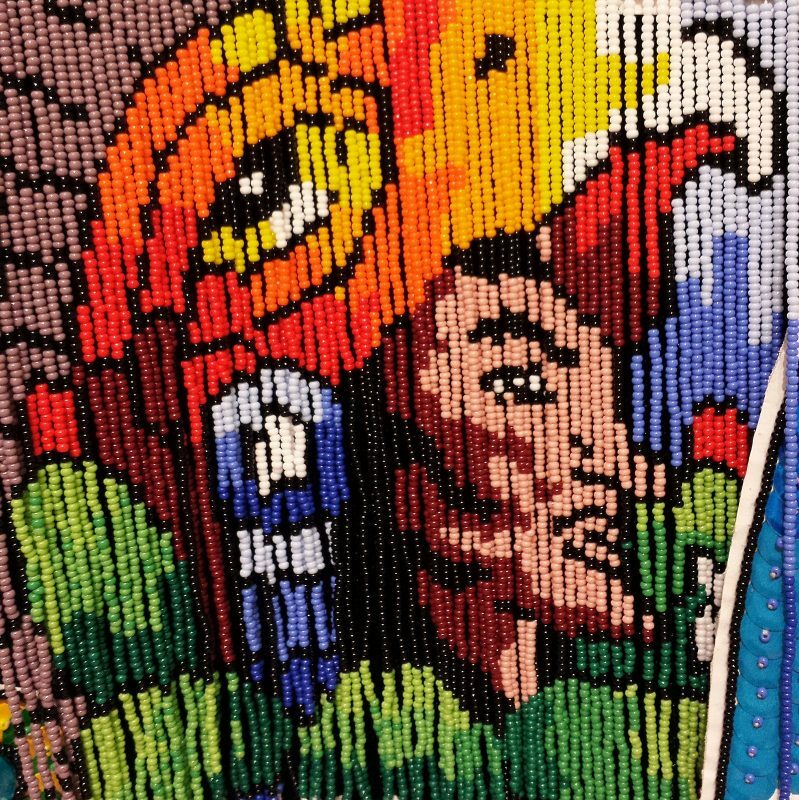 Detail of the still-alive conquistador knight’s head under the Aztec warrior’s foot. 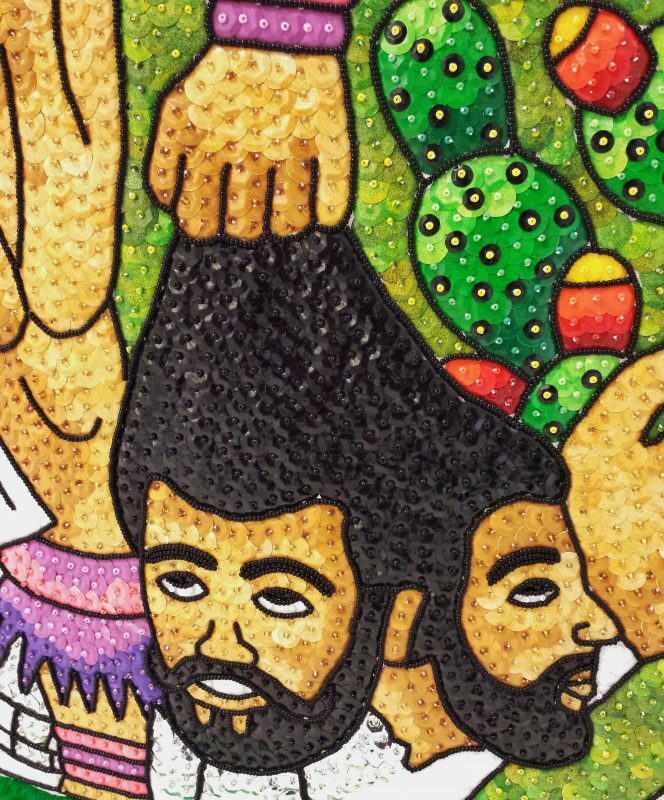 Detail of beaded costume showing severed conquistador heads. 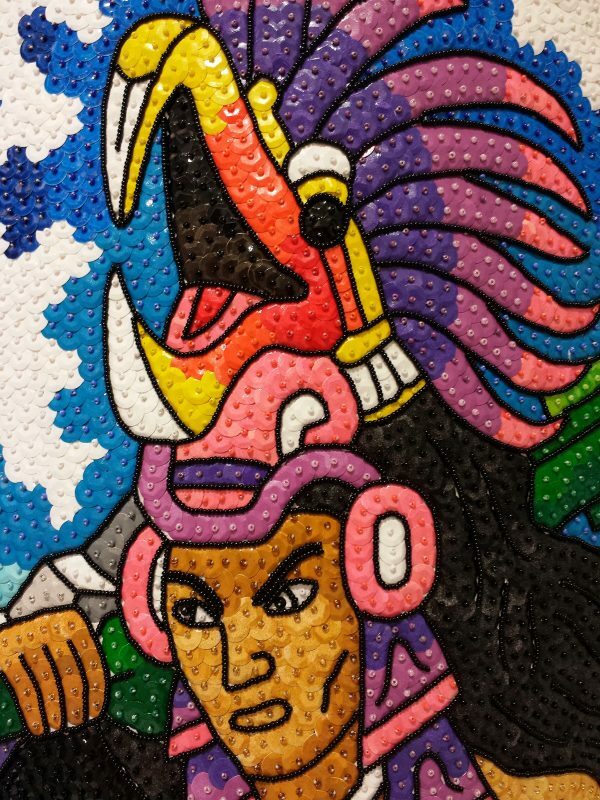 Detail of the Aztec warrior’s head with the plumed serpent headdress. 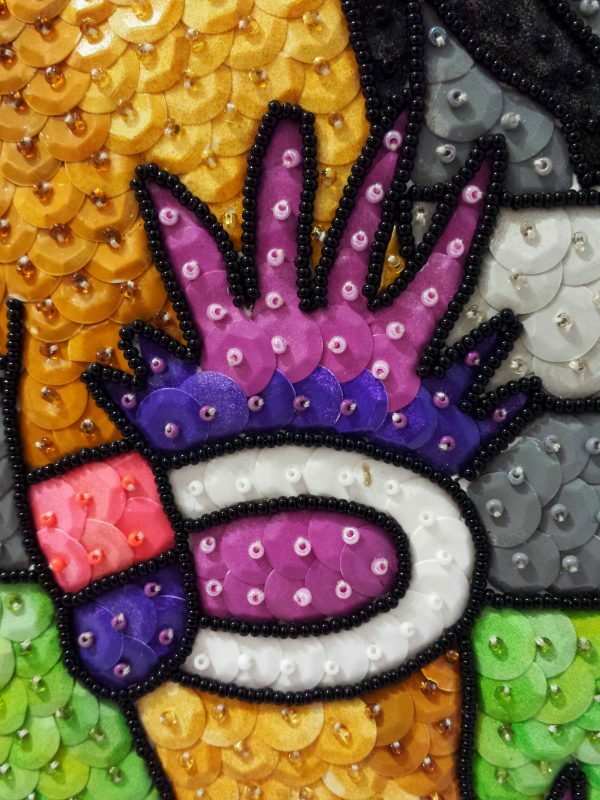 Sequins and bead detail showing the warrior’s upper arm bracelet. Here it is obvious that the sequins were cut to fit the shapes of the motif. 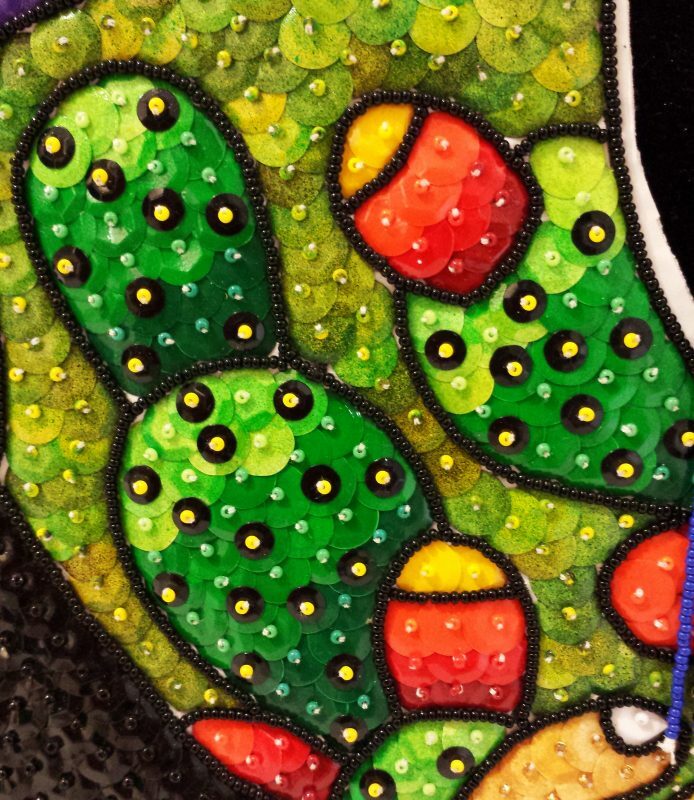 Cactus pear detail of the front panel. The attention to detail is meticulous. Beaded fringe detail from the adult costume. Several of these fringes hang on either side of the main front panel. 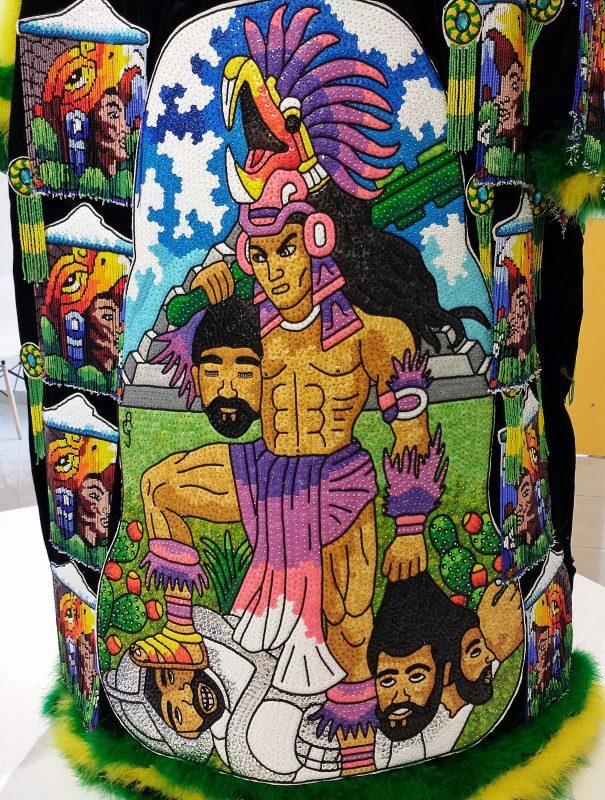 Detail of the back panel of the adult costume, with the artist’s initials serving as a beaded signature.